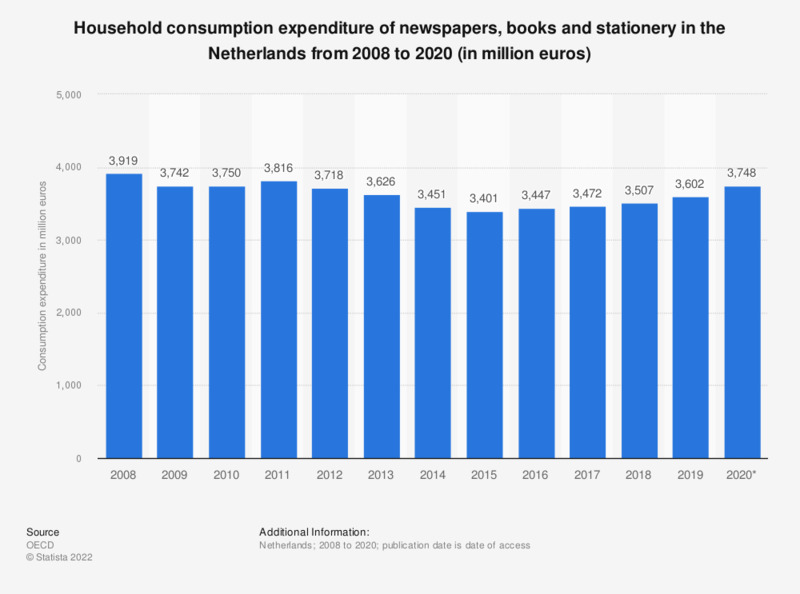 This statistic presents the final consumption expenditure of households in the Netherlands on newspapers, books and stationery as annual figures from 2008 to 2016. Since 2008, spending has decreased with 2016 showing an expenditure of around 3.4 billion euros. Everything On "Book market in the Netherlands" in One Document: Edited and Divided into Handy Chapters. Including Detailed References.